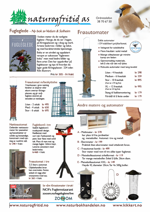 Wildlife and Wind Farms - Conflicts and Solutions gir en oversikt over relasjoner mellom vindturbiner og naturen. Volume 1 documents the current knowledge of the potential impacts upon wildlife during both construction and operation. An introductory chapter on the nature of wind farms and the impact assessment process is followed by a series of in-depth chapters documenting effects on climatic conditions, vegetation, terrestrial invertebrates, aquatic invertebrates and fish, reptiles and amphibians, birds, bats and terrestrial mammals. A synopsis of the known and potential effects of wind farms upon wildlife in perspective concludes the volume. The authors have been carefully selected from across the globe from the large number of academics, consultants and practitioners now engaged in wind farm studies, for their influential contribution to the science. Edited by Martin Perrow and with contributions by 40 leading researchers including: Robert Barclay, Michael Dillon, Jan Olof Helldin, Hermann Hötker, Jeffrey Lovich, Manuela de Lucas and Eugene Takle. The authors represent a wide range of organisations and institutions including the Universities of Calgary, Iowa State, Lund & Wyoming, US Geological Survey, Michael-Otto-Institut im NABU, Norwegian Institute for Nature Research, Spanish Council for Scientific Research, Renewable Energy Systems and several leading consultancies. Each chapter includes informative figures, tables, colour photographs and detailed case studies. Many of the latter are produced stand-alone from invited additional authors to ensure geographic spread and to showcase exciting new, often previously unpublished research. This book is designed for practitioners, researchers, managers and for a range of students in higher education, particularly those involved with environmental, ecological, conservation, impact assessment and climate change studies.